Was a Limerick man the inspiration for Jane Austen’s romantic novels? • People & Genealogy, Press & Published, Who was? Was a Limerick man the inspiration for Jane Austen’s romantic novels? 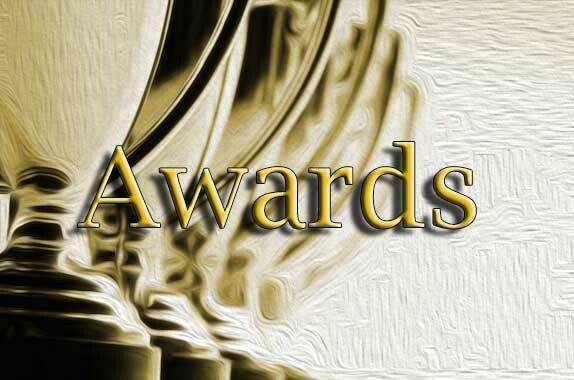 Posted by Sharon Slater | Dec 11, 2015 | People & Genealogy, Press & Published, Who was? These lines to her sister may have been edged with satire but this Tom man did leave a mark on Jane as did Jane on Tom. Jane Austen a sketch by her sister Cassandra. But who was this Tom Lefroy? He was Thomas Langlois Lefroy the 20 year old eldest son of a wealthy army officer, only a month older than Jane herself. He was born at 108 George’s Street (O’Connell Street) in the heart of the newly developed Newtownpery in Limerick city. The pair met as Tom was spending Christmas 1795/6 with his uncle George Lefroy, rector of Ashe not too far from Steventon (where the Austen family lived). Tom’s aunt Mrs. Lefroy was a great friend of the Austen ladies. It was while attending a balls in the neighbourhood that Tom and Jane danced the night away over the holiday season. It is known their relationship was a close one, as he lent her Tom Jones, an amazingly racy novel, not likely to be found on the shelves of her clergyman father’s library. Others thought them a couple, one acquaintance going so far as sketching a picture of Tom for Jane to keep. But four weeks after they met, Jane and her ‘Irish friend’ were forced to part, he was called to his uncle’s house to study at the Bar advancing his law career. The following year he was engaged to Mary Paul, the sister of a college mate. Mary Paul from Wexford, sister of a college friend was a more ‘eligible’ match for Tom, as she was born into a wealthy family and due a large dowry. They were married in in 1799 in Wales where many Wexford families had taken refuge during the 1798 Rebellion, and went to live in Dublin and had seven children. Tom was elected to the House of Commons in 1830, as a Tory. He became a member of the Privy Council of Ireland on 29 January 1835. He continued as MP for Dublin University, until he was appointed an Irish judge (with the title of a Baron of the Exchequer) in 1841. 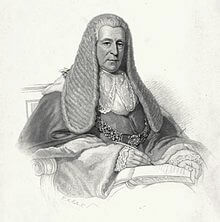 He was promoted to Chief Justice of the Court of Queen’s Bench in Ireland in 1852. In his later years Tom carried a Bible, and argued that only a proper system of education could improve the morals of the lower classes and he was against extending the vote to the middle classes. He opposed Catholic emancipation, and founded a society to send Protestant missionaries into Catholic areas. Many of his decisions were harsh: during the Famine he transported leaders of the Young Ireland movement for encouraging tenants not to pay rent. Tom’s hand in the oppression of Catholics, when his Huguenot ancestors had fled oppression in France, is an irony Jane would not have missed. Despite some allegations in Parliament, that he was too old to do the job, Tom did not resign as Chief Justice until 1866 when, at the age of 90. Tom Lefroy lived a full life and died Mary 4, 1869 at the ripe old age of 93. After Jane Austen’s death Tom would travel from Ireland to England to pay his respects. Years later when publishers Cadell & Davies went out of business Tom would buy at an auction a letter of refusal to Mr. Austen who had sent one of Jane’s manuscripts to them. Jane’s sister Cassandra destroyed the majority of Jane’s letters so we will never know how she really felt about Tom. Jane by not marrying Tom was spared a life ground by almost continuous pregnancy in a foreign country. Instead she had time to write three novels before she was 24, so without this loss, we may never have seen Jane Austen’s novels in print. 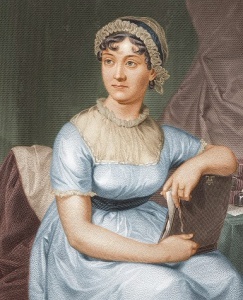 Jane remained unmarried and passed away in 1817. There have been a number of fictional account of Tom and Jane’s relationship. The most famous of these is the 2007 movie Becoming Jane. A science fiction book, My Head Upon The £10 Note by Mary Flannery, tells of how Jane Austen has come a long way, from 1816 to 2016. 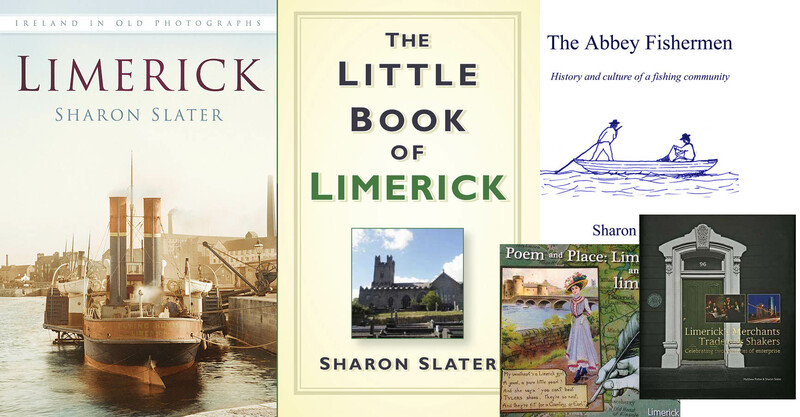 A guest of NY-based Time Travel Tours, she visits Limerick, Ireland, the home of her onetime love Tom Lefroy.You can find out more about this book on Mary Flannery’s website.